Professor Lance Bolt writes and speaks on the world of new currencies and shifting to sustainable economic practices. The Professor’s 3rd book – CURRENCY By Bolt – is now in print and available for $15 US or BTC equivalent, plus shipping. 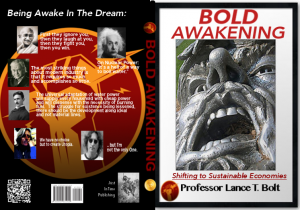 His second book – Bold Awakening – taking place in 2012 describes an awakening to seek a better way to do the financial system which created the Occupy Movement, whose impact continues to play out sowing the seeds of Bitcoin and the unfolding applications of its Blockchain technology. 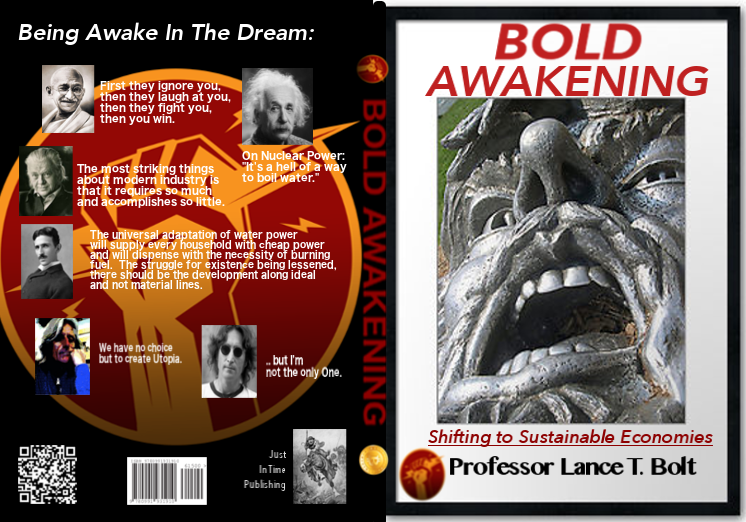 Bold Awakening will also soon be available in print. 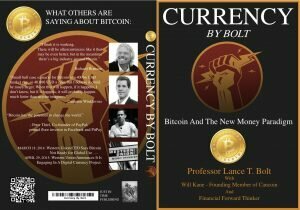 The first book in the series from 2009 represents an interesting starting point in the story and provides many good elements of context where we are today, especially what the advent of multiple cryptocurrencies could mean, in providing more options for the average person, in a sustainable economic paradigm.